Imagine this: It is your last night in Paris. It is 8pm and you have a train to catch at 10pm. Having yet to try typically French dishes like Confit de canard and Creme brulee; and without the slightest clue on places that serve them well, the situation is desperate. 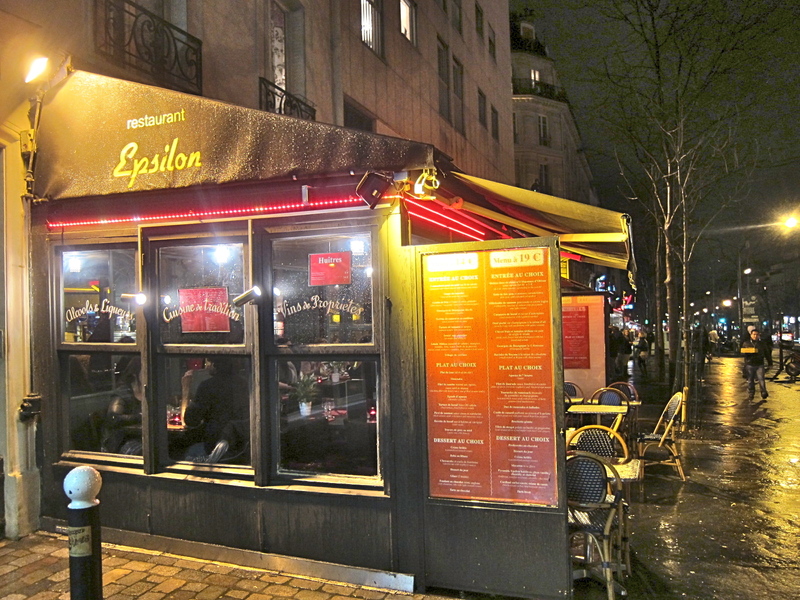 We chanced upon L’ Epsilon, a seemingly small cafe from the exterior but in actual fact a rather popular restaurant amongst the locals. We chose two set menus, which offered us a wide variety of choices. Our waitress for the night was wonderful as she carefully explained and helped us with our entree, mains and dessert. 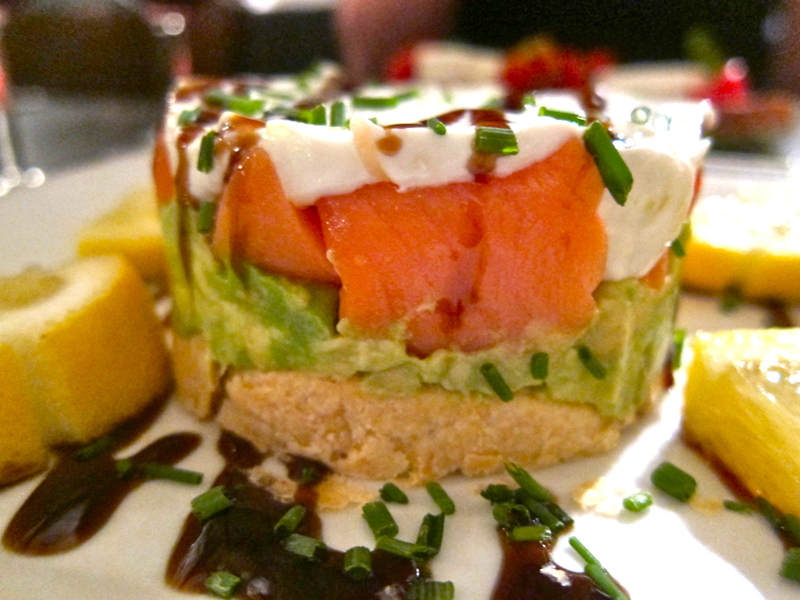 Appetizer I: Salmon and avacado terrine on filo pastry and a cream cheese topping. Forking a generous portion of terrine, one enjoys a refreshing and delicious blend of flavours. The creamy texture of the avocado and it’s smooth buttery taste goes hand in hand with the saltiness of the smoked salmon. The base of the terrine is a light filo pastry which complements the flavours of each component. Our second appetiser: Sun-dried tomato, goats cheese and rocket on rye bread This simple combination of goats cheese, sun-dried tomato and rocket was truly enjoyable. It comes off as a surprise as I am notone who usually appreciates cheese (I know, I’m missing out!). The tomatoes soaked in olive oil gave fragrance to the rustic rye bread; both bread, tomato and rocket counter balances the acidic and tart flavour of the goats cheese. Owing to its flavour and tenderness to the technique it has been cooked with, the poaching of the leg of the duck in it’s own fat together with the use of seasonings such as thyme, salt and garlic made this dish a winner. 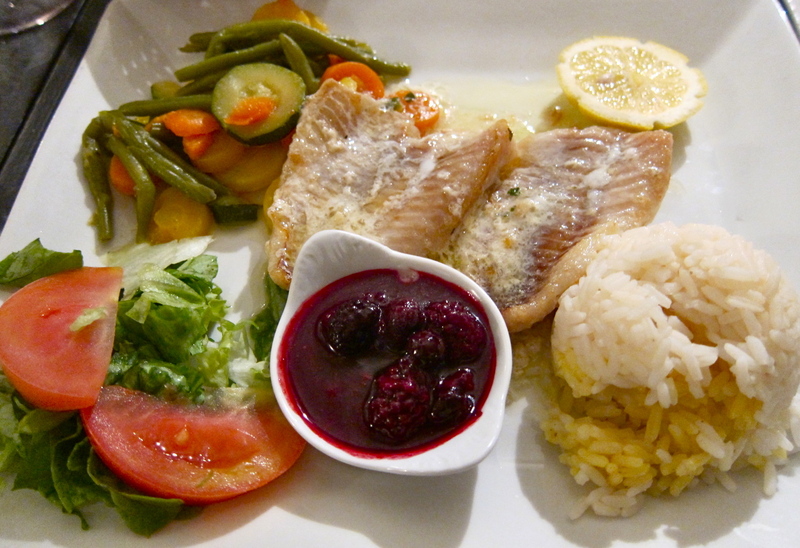 Main course II: Oven baked sea bass with raspberry sauce, basmati rice and a side salad. I enjoyed the lightness of the dish in contrast to the greasier and heartier confit. 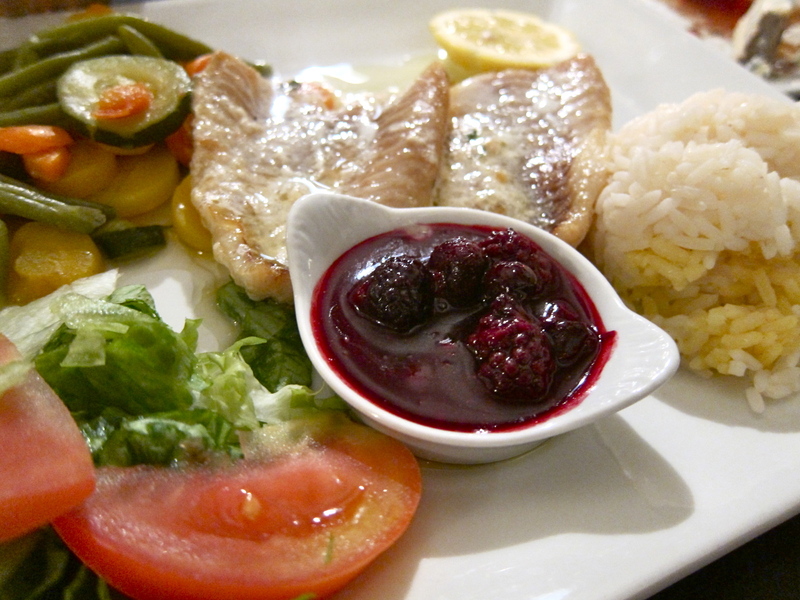 The fish was fresh and the berry sauce went surprisingly well with it. Although this was a dish well-done it may not be an ideal choice of order if you are looking for something more symbolically French with a more wholesome flavour. Chocolate mousse sandwiched between two puff pastry. A light vanilla custard with a caramelized sugar coating. Creme brulee have been largely associated with flan(another custard dish), however what draws them apart is the use of cream instead of milk in the custard. Thereby a smooth and silky texture is acheived while the slightly burnt sugar coating gives it a subtle crunch. 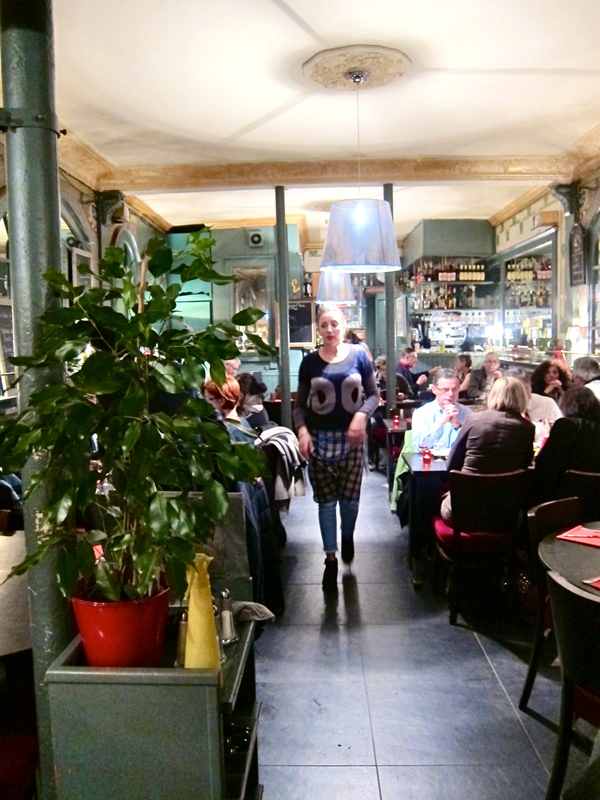 L’Epsilon is a casual dining restaurant that is worth stopping by if you find yourself near Place I’talia or Les Gobelins. With a normal a la carte menu and a satisfying set menu priced fairly at 17 euros, a truly affordable and enjoyable meal in Paris awaits.